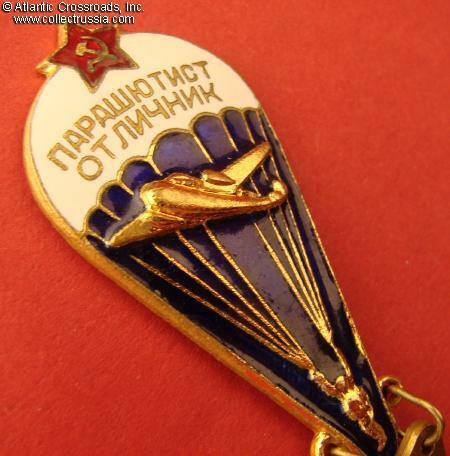 Excellent Parachutist badge, with pendant for 10 / 25 jumps, 1955 - 1968. 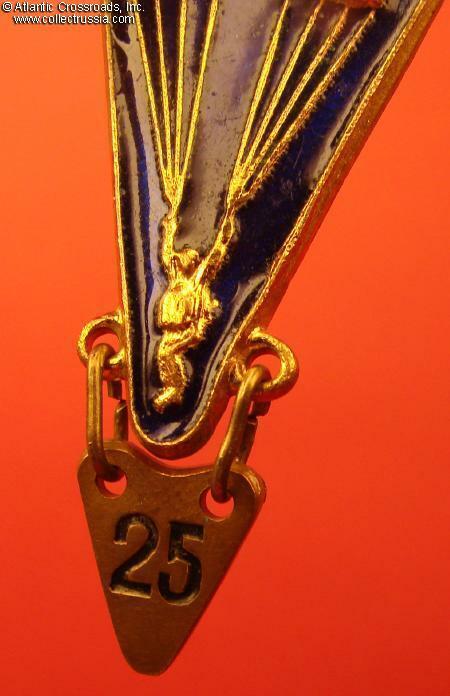 In brass and enamels; 48.1 mm tall (not including the pendant), 22.5 mm wide. 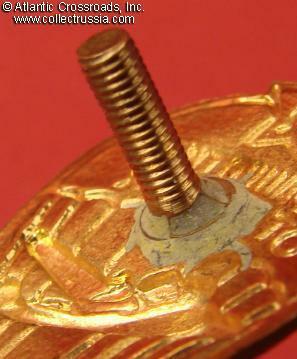 This type features the "ears" on the sides for connecting the pendant. 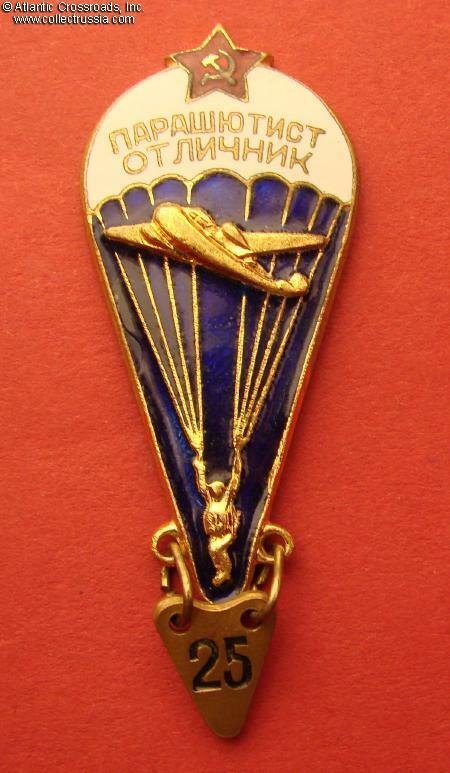 The badge is in excellent condition, with perfect enamel and nicely preserved gilt finish. 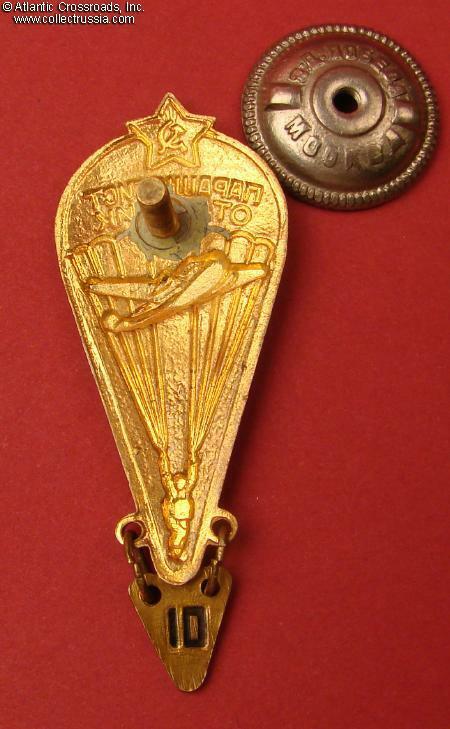 Includes period screw plate marked "Pobeda Factory, Moscow".